Cassette tape professionally dubbed on high performance Chrome Plus tape featuring uniform output between 50 Hz and 20kHz. Purple cassette shells with double-sided machine printed Yellow imprint. Three panel full-color J card professionally printed, scored, and cut. Purchase of cassette includes digital download from the Sooper Store. 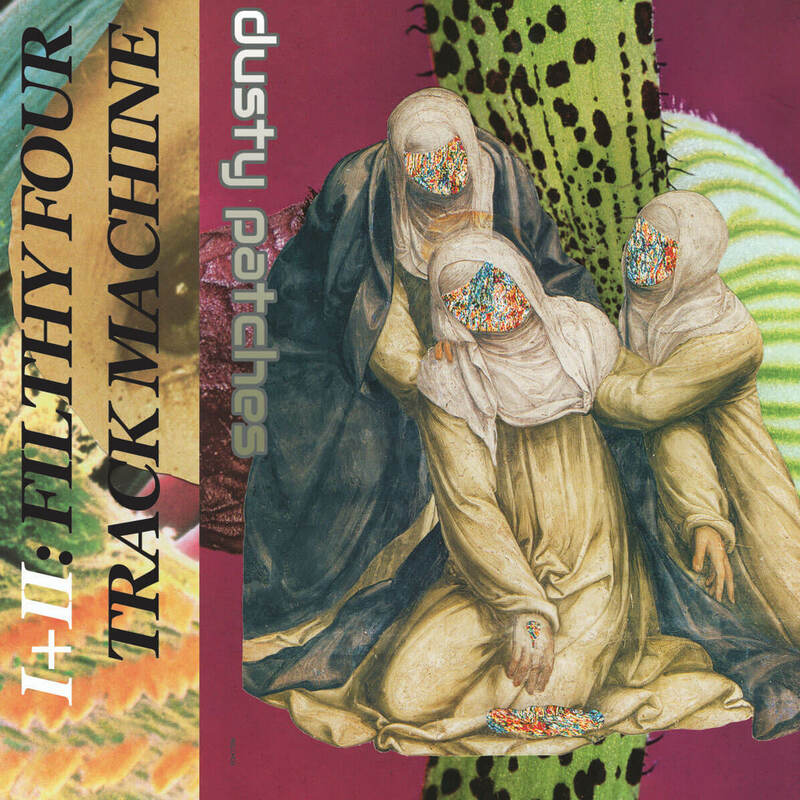 "Fusing together hip-hop beats with fluid synth lines, Filthy Four Track Machine I + II, doesn’t exactly sound like the kind of self-indulgence of a man lost in his basement studio, but on one level that is exactly what springs to mind when thinking about the meticulous creation of these melodic experiments." "The carefully crafted atmosphere of bombastic beats and alluring instrumentals set the stage for a feeling of eeriness and expectation; as if just around the corner awaits another surprise." Filthy Four Track machine I + II are a collection of tracks from Chicago producer, musician, and song-writer Dusty Patches (Patrick Mitchell). The two releases chronicle his exploration of synthesizers, and specifically, draw heavily on the Teenage Engineering OP-1 and pocket operator synthesizer series. If you would like to see Dusty Patches play these and similar pieces in real time, follow him on youtube under "Dusty Patches" (www.youtube.com/channel/UCj4SiKeulWS3Sk3fdlF5uWA). Produced, Recorded, Mixed and Mastered by Dusty Patches. Dusty Patches is Patrick Mitchell.